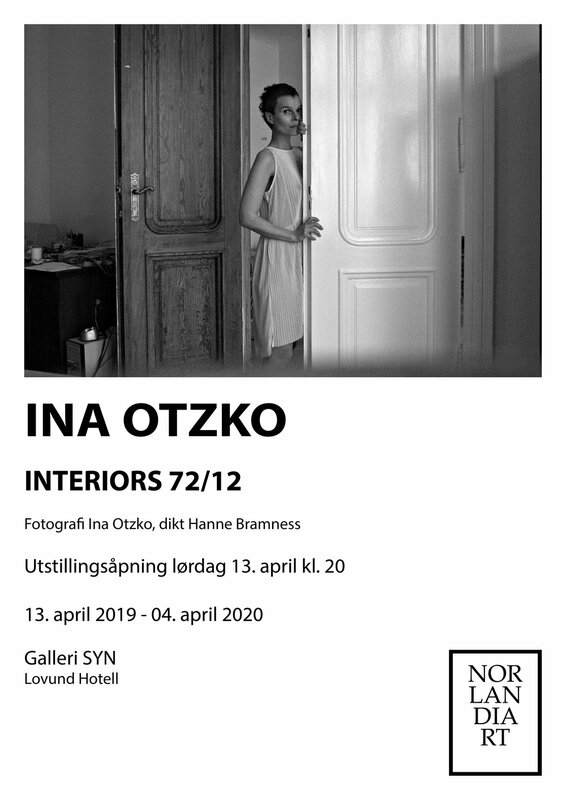 Longing and Belonging - Ina Otzko's visited interiors. Ina Otzko reveals her nomadic tendencies in this exhibition of photographs and video. The interiors that Otzko photographs are the private homes of people she has met whilst travelling. Yet the larger story is denied the viewer - there are no clues as to the relationships or the narratives surrounding each carefully composed domestic interior. These settings exude a masculine geometry; carefully composed lines and planes show a haphazard urban collection of windows, storage shelves, doors, cupboards, various sofas, mirrors, clocks and cushions. Such timeless icons as window, clock and mirror are laden with heavy symbolic overtones; this iconography stretches back into a myriad of art historical references from Titian, the Japanese Ukiyo-e School and Vermeer, to Matisse, Munch and beyond. Far from being comforted by traditional content, there is something unnerving, almost provocative, about Otzko’s art. These private spaces have been made into a voyeuristic stage by the artist. We view an immensely private time when a semi naked woman makes herself at home in a friend’s residence. Completely still, the curves of her body contrast or echo the enclosing lines of each interior. Ina Otzko’s semi naked self-portraiture imposes itself upon these interiors. As both photographer and model, she is always simultaneously the subject and object of her work.A subtle sense of absence seems to withdraw her from the visual probe of the camera. Her gaze is often directed toward an indeterminate distance outside the pictorial field. Visual pleasure is not present; this semi naked woman is held behind a constantly shifting barrier so that the spectator is made to feel like an intruder. However familiar these interiors appear, the artist’s body is given a specific function and both takes and creates room. The notion of the intimate and private space of the indoors is played out by her presence. Otzko’s posed body gives the viewer a key into a free movement inside each private room. The viewer’s own experiences and history may then infuse these works with new information whereby communication can happen between the work and the viewer. We compare, therefore we are. As an artist and person Otzko cannot remain still, her nomadic lifestyle has led to a series of projects in various geographic sites. But each site involves a primary personal involvement, whereby the wanderer must create her own security, her own safety, by attempting to organise any strands of chaos. These photographed interiors can be seen as moments of order, moments of self-consolidation, which are thereafter classified purely by a house number and a date. In 1971 Martin Heidegger famously stated that “all distances in time and space are shrinking”. Indeed the contemporary pace of life and its information flow seems to confine us into smaller segments of time. There is hardly any time to breathe deeply, let alone meditate. Ina Otzko’s works highlight the subjectivity of the perception of time. She uses her poise and body to challenge and provoke our ideas of private space. Her artistic methods are seemingly very simple, but they result in images that question the contemporary viewer: When was the last time I created a private moment for myself, a space of contemplation, and allowed my simple physical presence to belong fully to a physical place?